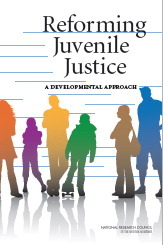 In the past decade, a number of state, local, and tribal jurisdictions have begun to take significant steps to overhaul their juvenile justice systems—for example, reducing the use of juvenile detention and out-of-home placement, bringing greater attention to racial and ethnic disparities, looking for ways to engage affected families in the process, and raising the age at which juvenile court jurisdiction ends. 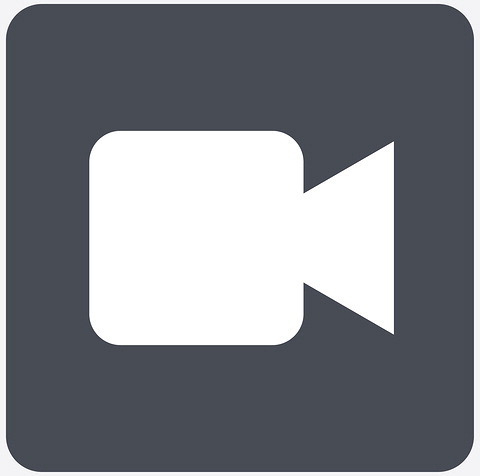 These changes are the result of heightening awareness of the ineffectiveness of punitive practices and accumulating knowledge about adolescent development. Momentum for reform is growing. 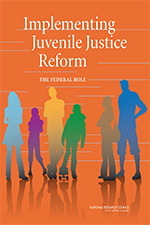 However, many more state, local, and tribal jurisdictions need assistance, and practitioners in the juvenile justice field are looking for guidance from the federal government, particularly from the Office of Juvenile Justice and Delinquency Prevention (OJJDP) in the Department of Justice. 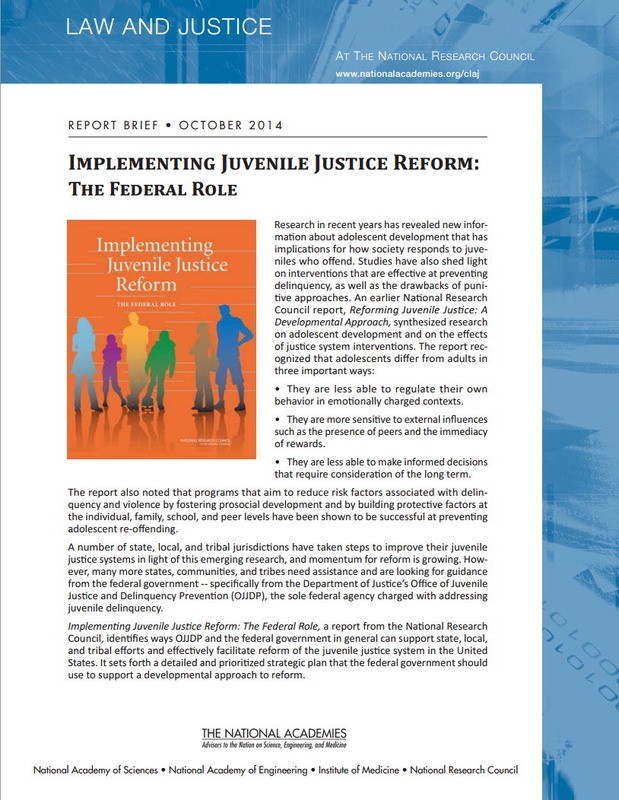 This report sets forth a detailed and prioritized strategic plan for the federal government to support and facilitate developmentally oriented juvenile justice reform. The pivotal component of the plan is to strengthen the role, capacity, and commitment of OJJDP, the lead federal agency in the field. By carrying out the recommendations Implementing Juvenile Justice Reform, the federal government will both reaffirm and advance the promise of the Juvenile Justice and Delinquency Prevention Act.